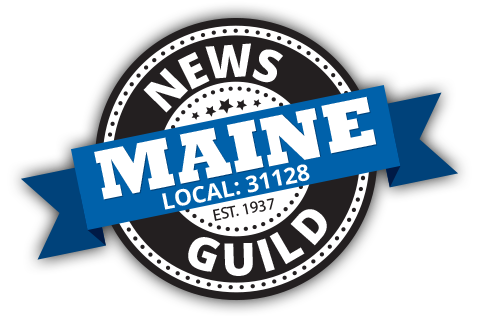 The meeting of the News Guild of Maine was called to order by President Jim Patrick at 4:05 p.m.
Jim Patrick promises this meeting won’t be long. Jim P. introduces new shop stewards. He says we are trying to be more active in what we’re doing throughout the building. Colleen P. says we have discontinued the Union office phone and internet now so we are saving $80 a month. We are in the process of getting rid of the union office, which would save us $420 per month. Once we are done cleaning out the office, we will put what we need in a storage unit in Westbrook that is 5x5 and will cost us $50 per month. It cost us $713 to have a shredding company come and take everything to shred. If no one wants any of the furniture or office machines, we will also have to pay to have the rest of that stuff removed. We will also save $118.28 per year because we won’t have to pay the city of Portland for the taxes of keeping an office in Portland. Colleen P. says we still haven’t gotten dues automatically from Waterville yet. Pete McGuire says he is working on that. Jim P. says dues are currently at 0.9 percent. If we can cut the office rent and watch how we’re spending, we can bring that down to 0.5. or 0.6 percent. We want to get the rates down so it’s not a burden to ask people to sign up and join the union. Aimsel Ponti asks what the money in our accounts is used for. Jim P. says we pay the national, and they come in when we have contract negotiations. We don’t have to pay extra for their lawyers when they help us. Colleen P. says half of our dues pay for that. Jim P. says the remaining half is for paying expenses here and there, like money for shredding old office documents. Money also goes into savings. Brenda Boykin is also paid for her work as the office clerk (8 hours per week at $20 per hour). She’s invaluable. Back in the day that money would have been a strike fund, but right now $200,000 would not go very far. Someone asks what our current membership is. Jim P. says he thinks it is roughly 173 people, and 75 to 80 percent of people are paying dues. Jim P. and Pete M. give their reports. Jim P. says we are going to be out of the union office by the end of April. We’ve got stuff to get rid of like desks, chairs, mini fridge and office computers. See the union Facebook page for pics of free stuff. The next step is that we go onto Facebook marketplace to get rid of these items. We might need a little more help cleaning out the office before we leave it. Jim P. also gives a report on union activity so people know what is going on behind the scenes. For example, the prepress team has been doing extra copyediting work for six to eight months, but they were not getting paid at the appropriate rate. The union helped them get paid at the correct level for their work and get six months of backpay. In reference to the new payroll system (Paylocity), Jim P. said to make sure you put in for the time you work at a higher job classification. Pete M. says he has also been working on personnel issues. He also wants to remind everyone that the contract runs out at the end of the year. Negotiations will probably not begin until fall, but he encourages everyone to think about what we want for a new contract. It should be easier this time because we are not working from scratch, but Lisa DeSisto has already said raises are unlikely, which is not fair. Members ask about what to expect for health insurance. People who served on the health care committee say they have not met in months. Others ask if it is possible to hear about our health care options earlier in the year, so any major changes aren’t sprung on employees. Jim P. says he will talk to Lisa D. about that. One member says she was not comfortable with the training session on Paylocity this morning. She says she left there not knowing how the program works and feeling angry about what she heard. For example, she thought she was a salary employee but was told she is hourly. Other members share their feedback from the training sessions, and it appears different departments heard different things about the new system. Jim P. says he will talk to Andy Scheetz to get some clarity. Another member asks about pay for delivery routes. Delivery routes are down, and employees have been taking on routes. There is some confusion about how much employees are getting paid to do this and how many hours to put in for. Jim P. says we will look into it. Kelley B. thanks the union officers for their efforts. Another member says he likes the frequent communication from the officers, and he says there can never be too much of it. Business is concluded, and the meeting adjourns at 4:30 p.m.